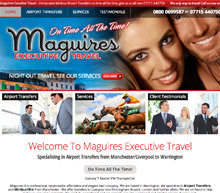 Manor Car Hire really needed a website refresh to reflect how prestige their business was. We felt that large images to show off their executive high spec cars was the route to go down and they absolutely loved the visuals we created. We moved on to code the website and added a few little special effects into the website. It completely finished it off with several nice touches!